All Winchester homes currently listed for sale in Winchester as of 04/22/2019 are shown below. You can change the search criteria at any time by pressing the 'Change Search' button below. If you have any questions or you would like more information about any Winchester homes for sale or other Winchester real estate, please contact us and one of our knowledgeable Winchester REALTORS® would be pleased to assist you. "Desirable location in quiet neighborhood! Impeccable condition! The main floor has gorgeous kitchen and eating nook with built-ins. Formal dining and spacious living room, gas FP & studding views. Split master suite w/walk-in tub and tile shower. Den, 2nd BR & BA. Downstairs has huge game room, kitchen, 2 bedrooms, BA, and 2nd laundry, plus tons of storage space. Great for a two family set-up or home business. Yard, decks & RV parking." "Sparkling River Views and Amazing Location! You'll love the renovated living spaces that were tastefullyupdated while keeping the home's original charm! There is so much light in this home including a fullsunroom. Most rooms enjoy the river view. Don't miss the lofts in the guest bedrooms, great for forts ordesk/work space. All appliances and new hot tub are included! This home is move-in ready!" "Motivated seller. Beautiful large 5 bedroom, 3 1/2 bath custom built home in Winchester.Vaulted ceilings. Gourmet kitchen with granite counter tops, stainless steel appliances, Island & tile floors. Master suit with Jacuzzi tub, shower & walk in closet. 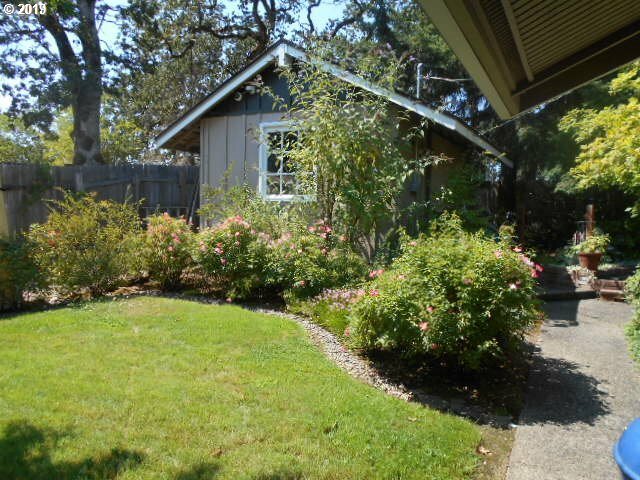 Home is on a nicely landscaped lot with great water feature in private back yard. RV parking. Call today for your private showing." "CUSTOM HOME THROUGH OUT! PRIVATE .83 ACRE LOT. 3BR/ 2.5BA, ANDERSON WINDOWS, MASTER SUITE, OUTSTANDING AMENITIES, MANY ENERGY EFFICIENT UPGRADES. TWO FIREPLACES,LARGE STORAGE AREA, OUTDOOR ENTERTAINMENT PATIO AREA, RETRACTABLE AWNING. MASTER GARDNER LANDSCAPE, ROOM FOR GARDENING. AWSOME 28X40 SHOP W/ FRONT&BACK SHOP DOORS FOR THRU ACCESS. BUILT-IN CABINETS & PLUS MORE. NEW OUTBLDG/ SHED. SEASONAL CREEK. KITCHEN APPLIANCES INCLUDED." "DESIGNER AMENITIES ABOUND! 1 Level home, Spacious 3Br./2.5 ba. Master en Suite, walk in shower &closet. Soaring ceilings w/fans.. Custom lighting &designer interior paint. Travertine, Venetian plaster, custom cabinets, Custom Umpqua granite. Wine Bar w/refrig.&Copper sink. 3 Car garage Xdeep w/storage. Tankless gas W/H. Lg utility room w/storage.See photos. 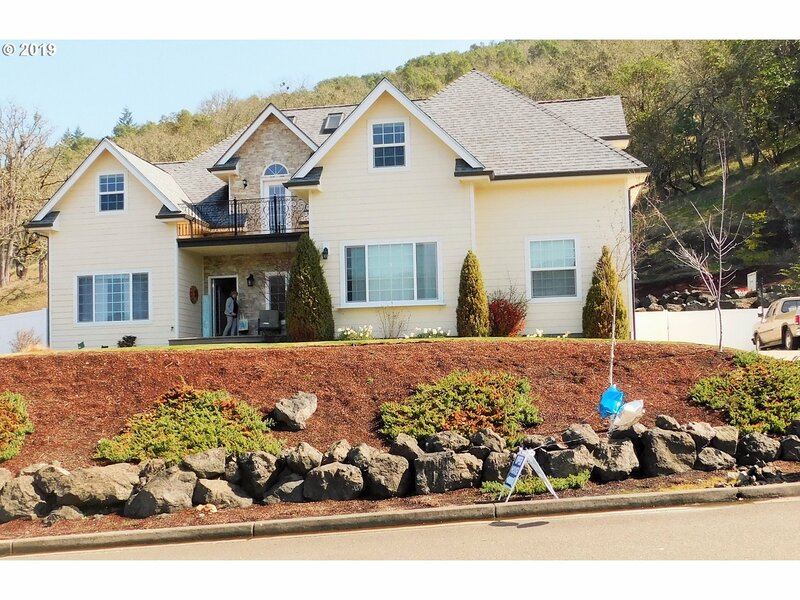 Seller is Licensed Oregon Real Estate Broker.Some Furniture sold separate." "Look at this one of a kind home located in the sought after Winchester Area! This 4 bedroom 2.5 bath boasts an open floor plan with lots of natural light! The master suite has a soaker tub and two walk in closets. It is an entertainer's dream with its large kitchen and versatile patio area complete with gas fire pit! The three car garage is perfect for storing boats, or other recreational vehicles." 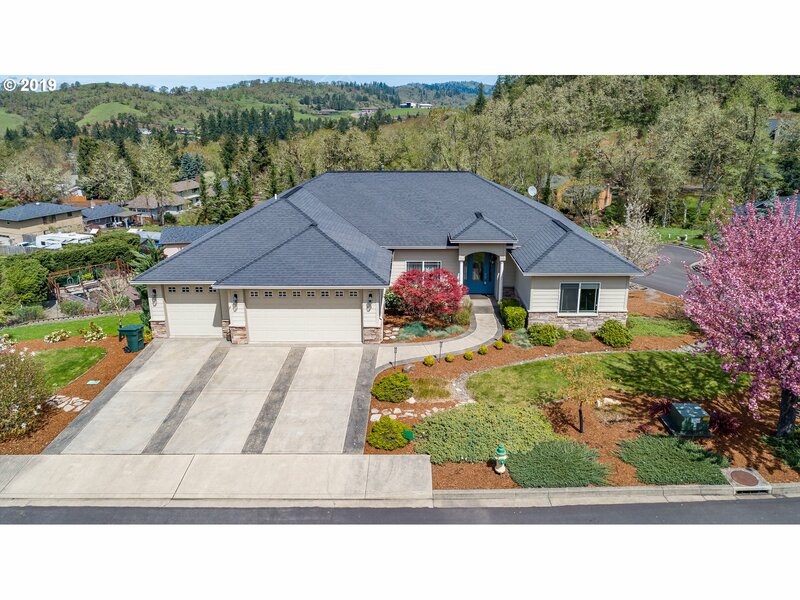 "This gorgeous home is located close to town and the N Umpqua river. Inside the kitchen offers top of the line appliances, and is open to a spacious dining area. The master suite is on the main level, along with the living area which has a gas fireplace and additional space for an office. Outside enjoy the large deck, patio, low maintenance yards and custom salt water pool. Home warranty included." "Custom home w/private setting in Winchester area. Vaulted ceilings & plenty of windows to enjoy the setting. Room off master, currently used as bedroom, could be nice office or exercise room. Lower level could be guest quarters w/2 bedrooms, bath, family room, wet bar, and lots of storage. Low maintenance lot with large deck for entertaining. Home has lots of space w/many possibilities. Neighborhood has common pool & tennis courts." "Roll up your sleeves and bring your imagination! A real project awaits you and all your talents in this 4 bedroom, 2 full baths and 2 half bath, modern home. There is so much potential here! Great house for someone willing to fix up, clean up, personalize so you end up with your dream home complete with beautiful valley views!" "New home by Tabor Building in a great Winchester neighborhood. 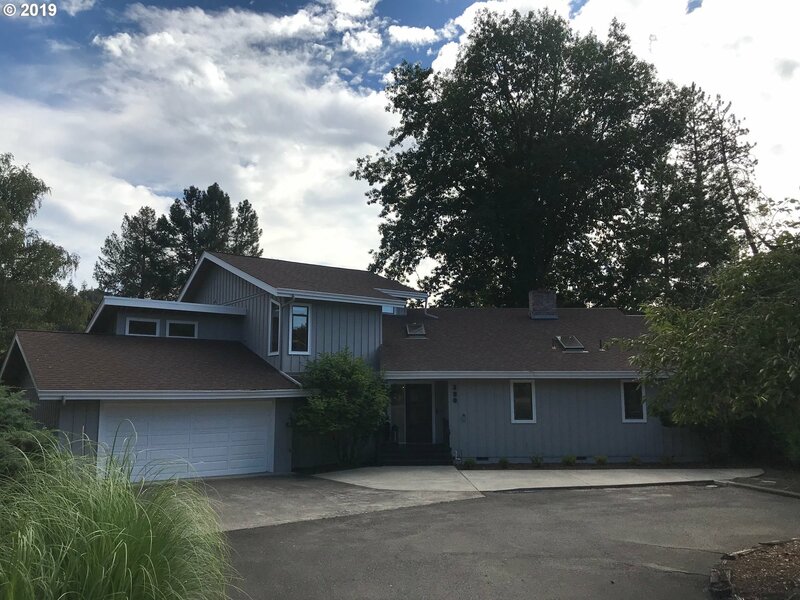 This 1900 SF home features 3 bedrooms with a flex space, 2.5 baths, tile and LVT flooring, main floor master suite, granite countertops, and island in the kitchen." "Private park like setting. Lots of upgrades, electrical . granite, & tile. Garage plus 2 shops with 100 and 220 Vs. Home security + video recorded. Fully landscaped to perimeter. Fenced. 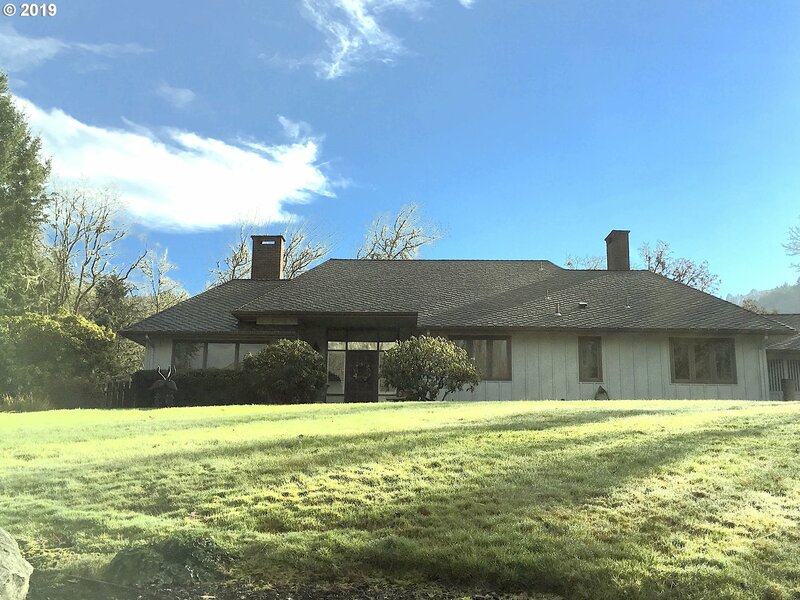 Seller is a licensed agent in Oregon MOTIVATED SELLER"
"Great opportunity for home builder/developer. Possibly 3 building lots, check with planning dept. Total of 1.02 acres (two parcels .34 AC & .68 AC) All level property with view of the river. All utilities to the property. Close to Winchester School, community college & Costco. Nicely remodeled MH with 2 bedrooms, family room addition, outbuilding, garden area, much more. A rare find in a great neighborhood." 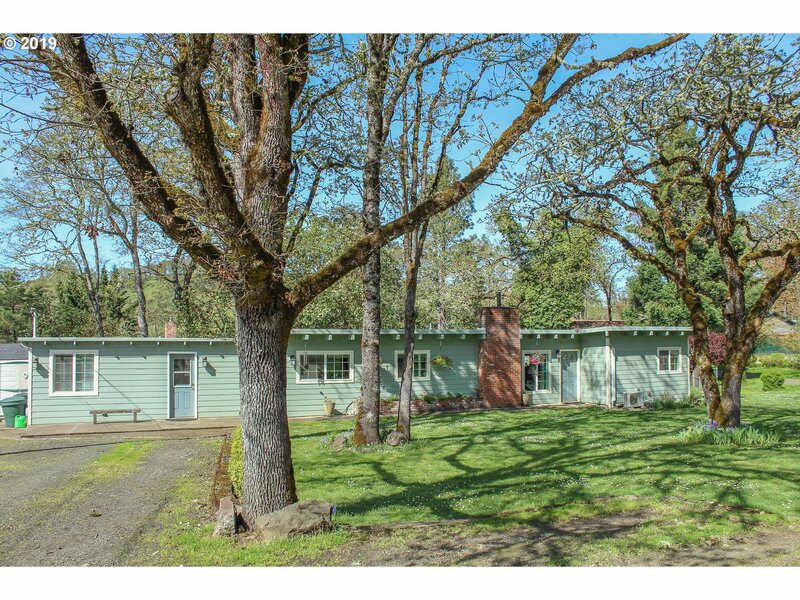 "On a park-like nearly 1/2AC lot, sits this charming 1960s home. 4BD/2BA & 1900SF on 1 level. This home's large country kitchen is the heart of the home & is flanked by a living rm, family rm, & sitting rm/playroom. 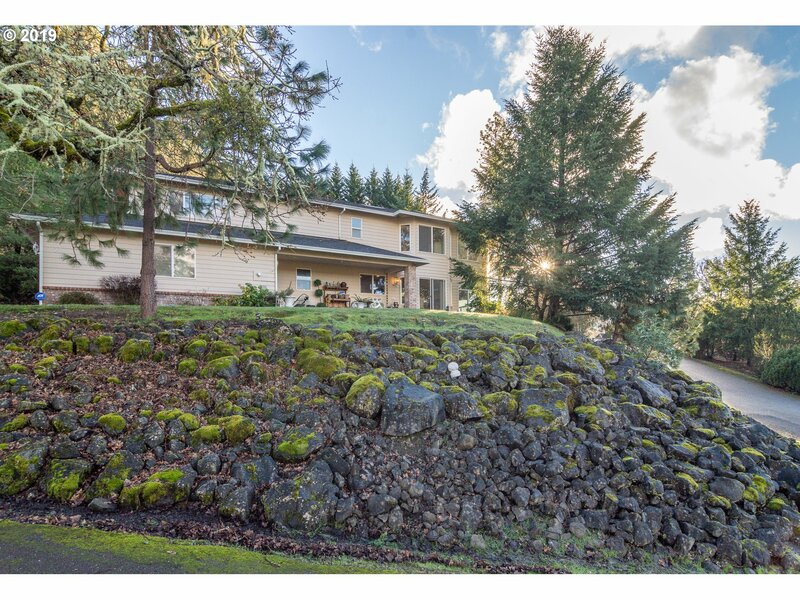 The oversized lot is an outdoor dream w/raised garden beds, shade trees, perennial flowers & view of the N Umpqua River. The fenced backyard has a garden shed, mini-workshop, and finished studio/office."